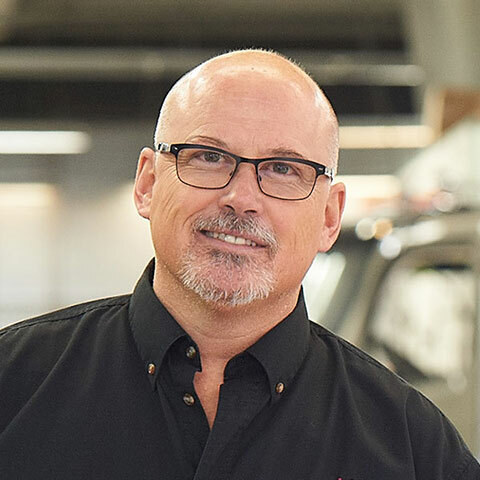 We have been very fortunate to see what started out as a two-man operation grow into one of Winnipeg’s leading collision repair shops, with 200 employees all working to ensure our values shine in every product and service we provide. We look forward to growing with our customers and serving them with unmatched convenience and guaranteed repairs for many years to come. Eastside Heavy Truck has been a part of the collision industry for over 25 years, beginning at our St. Boniface Archibald location where satisfied car customers would ask for our help with their larger equipment needs. As a result of high popular demand, we then developed our location at 874 Marion, where still to this day the large overhead doors mark our commitment to servicing heavy trucks. As demand continued to rise for both our passenger car and commercial truck services, we found the need to expand to a heavy truck-only location. This resulted in the opening of our 171 Eagle Drive location, where our team of heavy truck experts has grown to more than 25 skilled individuals. It was there that Eastside developed and patent the first integral Volvo day cab conversion kit, which is still in use today. Our high-quality repairs, quick turnaround and honest culture has earned the respect and business of transport companies, owner operators and OEM dealer principals. In 2005 we once again outgrew our place of business, and moved to 2535 Inkster Blvd., where we operate today. No stranger to change, we continue to evolve, driven by our commitment to quality and customer confidence. We attribute our growth to our relentless investment in being the very best commercial truck repair team ever assembled. Darryl began working with the Eastside Group in 1995. A journeyman body and paint technician with more than 35 years of experience, Darryl has served in several roles at Eastside Heavy Truck. 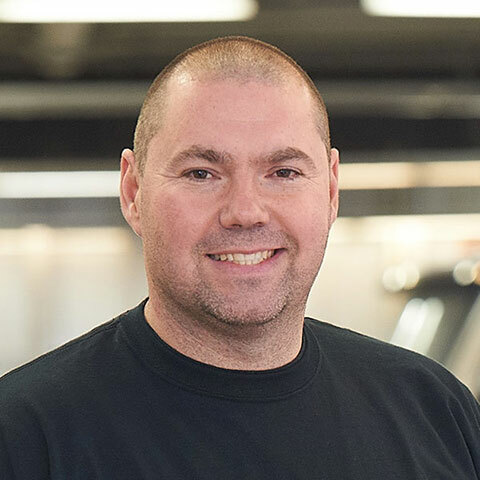 He has been the road estimator for commercial trucks, worked as the production manage; controlling the flow in the shop and at this time Darryl is the General manager of Eastside Heavy Truck. Dale has been with Eastside Heavy Truck since its inception in 2001. 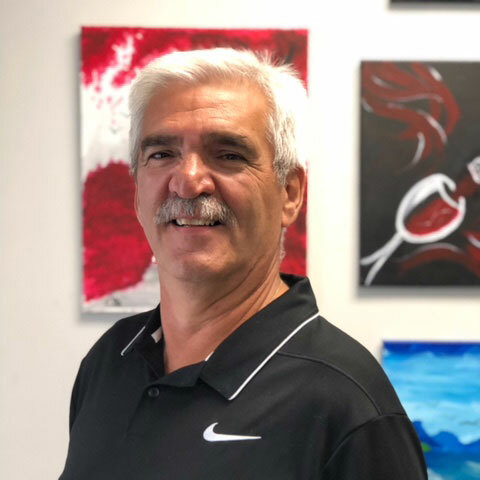 A 40-plus year veteran of the commercial truck paint sector, Dale currently runs our commercial paint department, overseeing. He oversees three journeymen painters and two paint preppers. 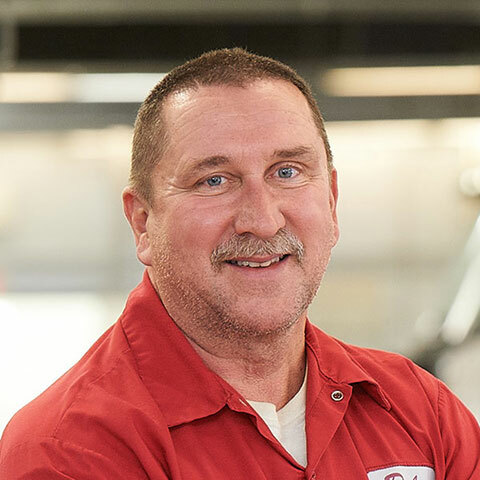 Kevin has over 25 years of experience in the collision and commercial truck repair industry and has lived and worked in the Rosser area his entire life. Kevin has been with Eastside Heavy Truck since 2010, when we began repairing passenger vehicles. He oversees the production on the passenger repair side, managing four body technicians and two paint technicians. Ken is a red seal technician who worked in the industry for 35 years. With his many years of experience, he is able to address any questions or concerns a customer may have regarding the repair of their vehicle. 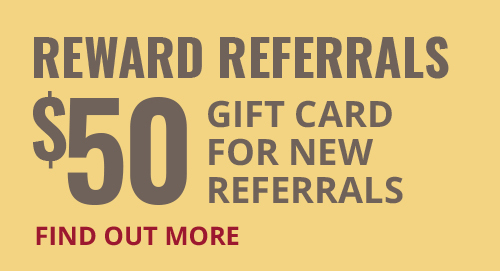 He has been with Eastside for 4 years, handling the invoicing to customers and insurance companies i.e. MPI. He is your contact when the job is complete. Ken releases the vehicle, takes payment and goes over the invoice with the customer. Jessica joined Eastside three years ago, and is a valuable member of the production team. Jessica is the ‘go to’ on the Commercial side for all things administrative. Jessica greets customers when they drop off their vehicles as well she goes over the invoice when they pickup. She does all the invoicing and submits all insurance claims. Kim has been with Eastside for 7 years. She is a military wife who originated in Victoria, B.C. 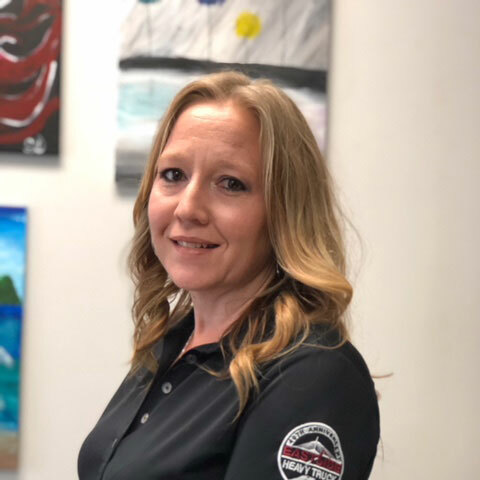 Kim first worked in our payables department but has transitioned into the production side of the business. Kim currently is a Direct Repair Co-Ordinator. She sets up the Advance Repair Procedure (ARP) and works with the technician to build the MPI claim. 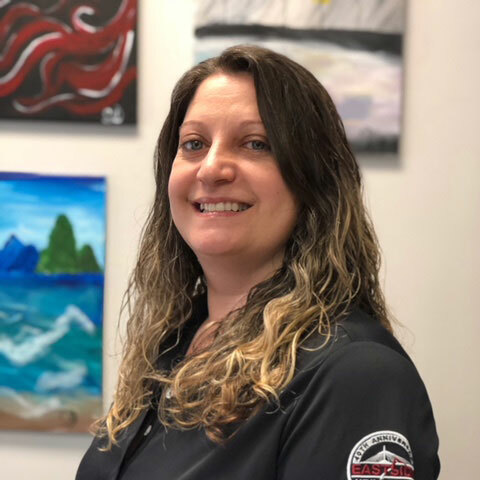 Kim works with her technicians to line up parts, rentals and customer schedules in order to have customer vehicles repaired right and on time. In addition, Kim looks after all our MPI glass claims. Tina is the newest addition to the team. She first came to us in a Parts Management capacity. Tina brought a lot to the table with her extensive knowledge of the Repair Centre software utilized by MPI. 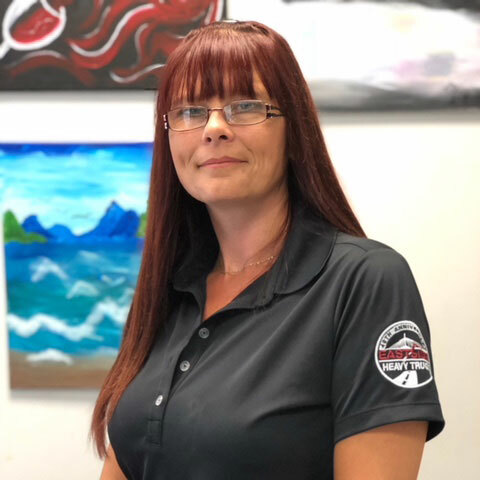 Tina is the leader of our second Direct Repair Team, coordinating the ARP and building the claim with her technicians: she orders the parts, sets up the rental and schedules the vehicle for repairs. Justin has been with Eastside for 14 years. Justin literally grew up at Eastside. He began working as a detailer in the wash bay. Later on, Justin worked in the parts department on the commercial side where he spent several years. Eventually Justin also looked after the parts for the car repair division. 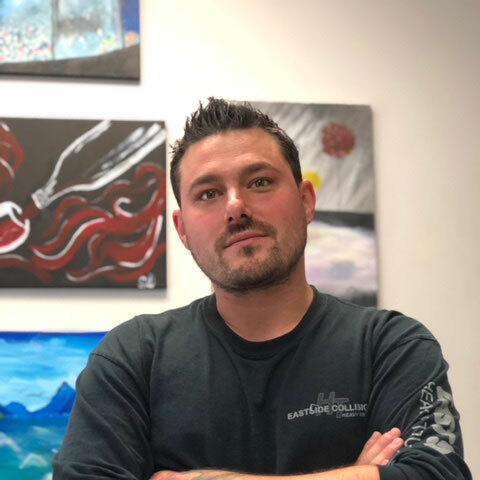 Recently, Justin has transitioned into the production Management of the Commercial repair division, taking over from his predecessor who retired. Justin currently oversees the flow of the shop including four body technicians and four painters. He co-ordinates the repairs of all commercial vehicles including semis, buses, motor homes and any other equipment we may have in our shop.